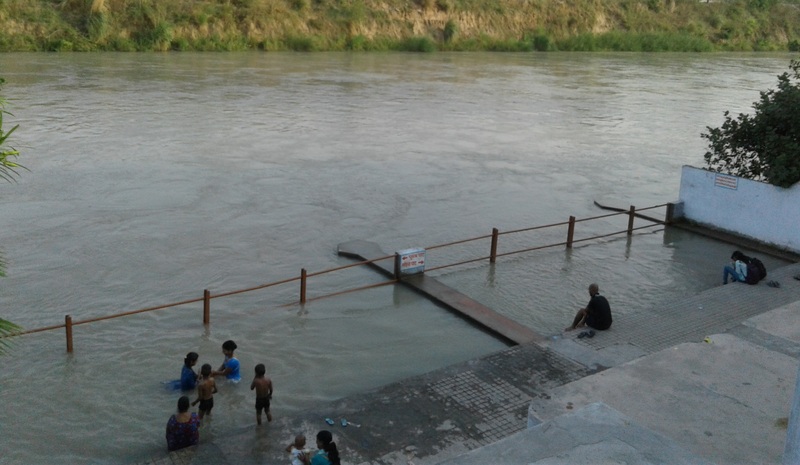 Har-ki-Paidi is the considered to be the most auspicious of ghats on Ganges. It is about 5 km from AZIMVTH Ashram. Like all other popular ghats in India it is also teeming with pilgrims and tourists. But the captive ghat of Arya Nagar is off the grid. At any time of the day and year, one can find only just a few, if at all any, persons here.